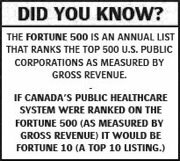 As identified in this publication on March 30th, 2009 (related to eHealth Ontario),"If it doesn’t work the first (second or third) time---rebrand and start over. Taxpayers have short memories." So let's be clear... what is being identified today by the National Post as an 'Important step to restore public confidence'---is really the forth time the Province has gone through this step. When will we ever learn? There's a name for those who do the same thing over and over again and expect different results. Apparently that name is the Ontario Government---as yet another scandal over lavish spending at eHealth Ontario has claimed the career of a top public servant. The provincial government said yesterday it was revoking Sarah Kramer's appointment as president of the agency in charge of creating electronic health records. Ms. Kramer has been dogged by reports that she has been involved in questionable procurement practices where large contracts -- totalling $5-million -- were awarded without tenders from September, 2008, to January, 2009. The contracts revealed a tangle of relationships between many senior eHealth officials, including Ms. Kramer, board chairman Dr. Alan Hudson and their former colleagues and associates. Ontario Health Minister David Caplan said yesterday he was revoking Ms. Kramer's appointment after "many valid concerns have been raised regarding eHealth Ontario." Calls for Ms. Kramer's resignation had been growing as opposition members accused Mr. Caplan of endorsing the lavish and questionable spending at eHealth Ontario through his inaction. Conservative party researchers obtained details of the contracts through Freedom of Information requests. Ron Sapsford, Deputy Minister of Health and Long Term Care, will now serve as acting president and chief executive officer of eHealth Ontario. Mr. Caplan said he asked the board of eHealth to "launch a third-party review of the agency, overseen by a government auditor," and asked for a prompt review by the Auditor-General. Mr. Caplan said the move was "an important step to restore public confidence in the agency and its mandate of modernizing our health care system." However, replacing the head of eHealth does not end the scandal for the Liberal government, opposition critics said. Bob Runicman, the Progressive Conservative party leader, said Mr. Caplan himself needed to step down and suggested Ms. Kramer should repay some of her compensation. "A so-called resignation on a Sunday afternoon that is clearly designed to avoid public scrutiny is simply not acceptable," Mr. Runciman said in a written statement. "The buck stops with Health Minister Caplan. He needs to quit now, and stop taking the easy way out by assuming he's off the hook with Ms. Kramer gone. If he won't leave on his own, the Premier should show him the door." He also said Ms. Kramer needs to do more than step down. "In these especially tough economic times, when taxpayers don't get value for their hard-earned money, it should be paid back," he said. "We expect the Minister to reveal today the exact amount of Ms. Kramer's compensation package, and whether or not she has been asked to pay back any of her lucrative salary, hefty bonus and extravagant expenses." Ms. Kramer will get $317,000 in severance pay, but will forego the bonus and benefits stipulated in her contract. According to Caplan spokesman Steve Irwin, Ms. Kramer will be required to pay back some of that money if she gets another job in the next 10 months. 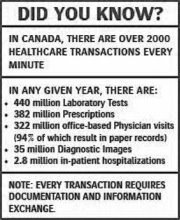 The contracts engaged by eHealth Ontario have been under increasing scrutiny. Three contracts totalling nearly $2-million, for example, were awarded to Courtyard Group, whose founding partner, Michael Guerriere, worked closely with Dr. Hudson for years. Mr. Guerriere's wife, Miyo Yamashita, was the beneficiary of a four-month, $268,000 contract, as managing partner of Anzen Consulting Inc.
Conservatives released documents last week showing Ms. Yamashita, who as a partner at Anzen was responsible for developing a communications and media strategy, billed eight hours (at $300 per hour) for tasks that included sending herself e-mails and calling herself to ask follow-up questions. The documents also show a senior vice-president, Donna Strating, was expensing $3 snacks and even cheaper soft drinks even as she earned $2,700 per day. Other reports indicate Ms. Kramer listed an Accenture Inc. executive as a reference when applying for the full-time CEO job. Accenture benefited from three single-sourced contracts worth $1.3-million, two while Ms. Kramer was advising the board but not yet hired and a third shortly after she was hired in November.